A step-by-step educator's guide to integrating health, community services, and academic achievement in schools. 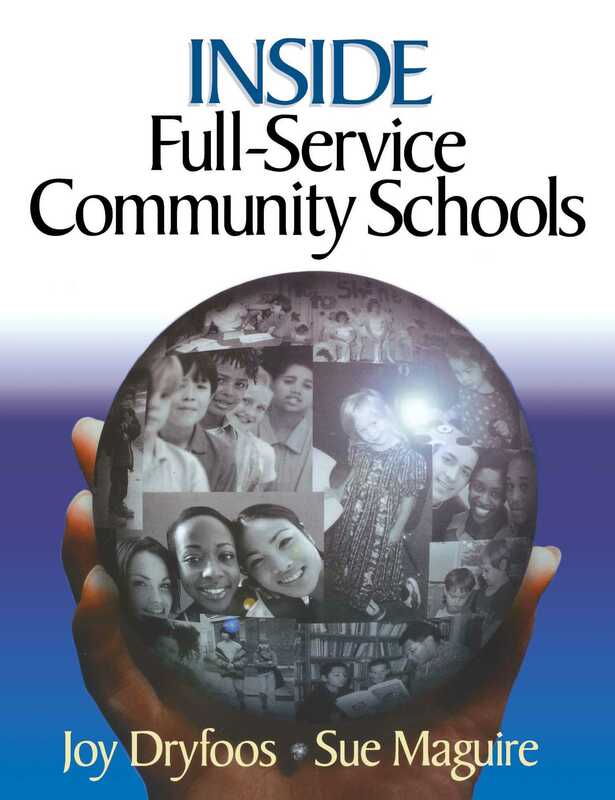 In this groundbreaking work, experts Dryfoos and Maguire share both personal and comparative models, examining the full spectrum of community schools in urban, suburban, and rural settings. The book is ideal for reformers, administrators, and anyone interested in the future of education in America. Joy Dryfoos is an independent consultant and writer. She is a founding member of the Coalition for Community Schools and a senior consultant to the Public Education Network’s Schools and Community Initiative. She resides in Hastings-on-Hudson, New York. Sue Maguire has been an educator since 1977, a teacher for 15 years, and an administrator for 10 years. She is currently the principal at Molly Stark School in Bennington, Vermont, and is an adjunct instructor in graduate administration courses at Massachusetts College of Lib¬eral Arts in North Adams. She resides in North Bennington, Vermont.